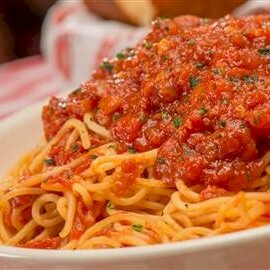 Buca offers a vast menu of family-style Italian cuisine including pizzas, pastas and many more popular Italian entrees. Chicken breasts lightly sautéed and topped with lemon butter sauce and capers. 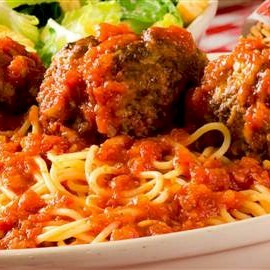 Our famous half-pound, mouth-watering meatball made with 100% premium ground beef served with marinara sauce. Our famous half-pound, mouth-watering meatball made with 100% premium ground beef served with marinara sauce. Serves 3. Mixed lettuce tossed in our signature Italian vinaigrette with Roma tomatoes, red onions, pepperoncini and black & green olives. Pepperoni, salami, red onions, pepperoncini, cucumbers, Roma tomatoes, black & green olives, provolone, feta and Gorgonzola with mixed lettuce in our signature Italian vinaigrette. 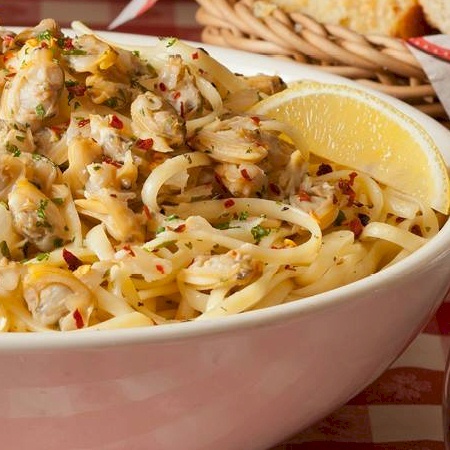 Linguine tossed with baby clams, Italian herbs, garlic, white wine & rich butter sauce. 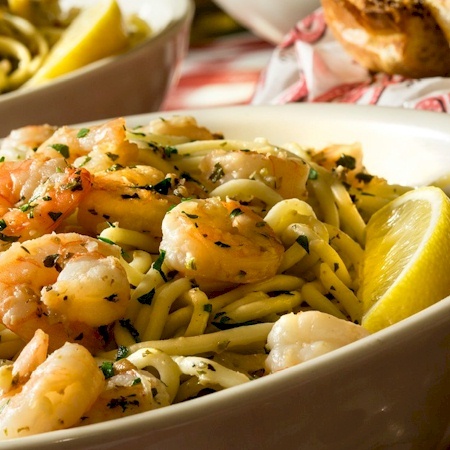 Shrimp sautéed with garlic, white wine, Italian herbs & lemon butter, tossed with spaghetti. Small size serves 3 people, large serves 5 people. Roma tomatoes, fresh mozzarella, red onions, basil-infused olive oil & balsamic vinegar, served with parmesan crostini. Serves 5. Tender pieces of calamari coated in zesty breading, fried to golden perfection and served with spicy marinara sauce. 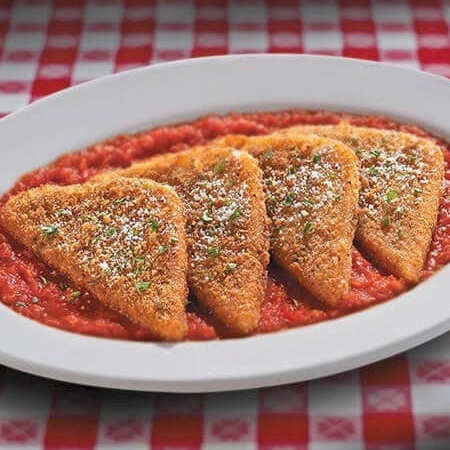 Hand-breaded mozzarella fried golden brown and served with homemade marinara sauce. Our famous half-pound meatballs topped with our homemade marinara sauce & creamy ricotta. Serves 5. 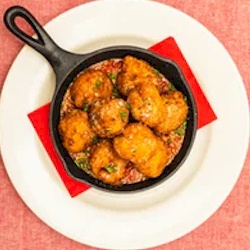 Creamy macaroni & cheese balls breaded & fried to a golden brown, served over a bed of sauce. 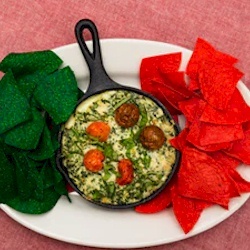 A mixture of Italian cheeses, artichokes & fresh spinach, served with chips. Serves 5. 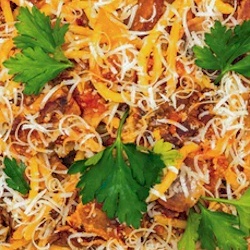 Spicy Italian sausage and meat sauce tossed and topped with mozzarella, parmesan & ricotta. 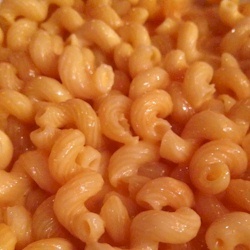 Cavatappi pasta mixed with a velvety blend of cheeses. 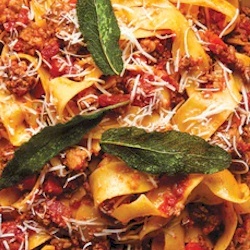 Beef & pork Bolognese, our homemade marinara sauce, fried sage, pappardelle pasta & Grana parmesan cheese. 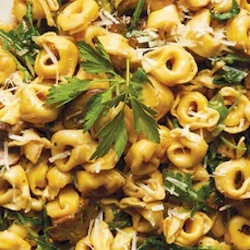 Cheese-filled tortellini tossed with Grana parmesan cheese, baby portobello mushrooms, arugula & cream sauce. 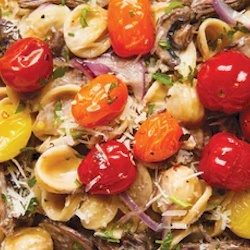 Slow-braised short ribs, baby portobello mushrooms, red onions, Grana parmesan cheese & orecchiette pasta tossed in a velvety cream sauce, topped with fire-roasted tomatoes. 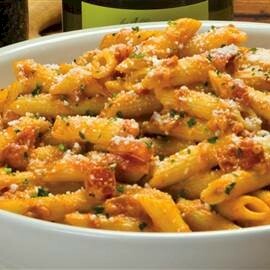 Bucatini pasta tossed with crispy bacon, sautéed yellow onions, Grana parmesan cheese and our homemade sauce. 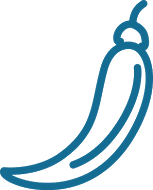 Two mild or spicy Italian sausage links served with marinara sauce. Shareable size. 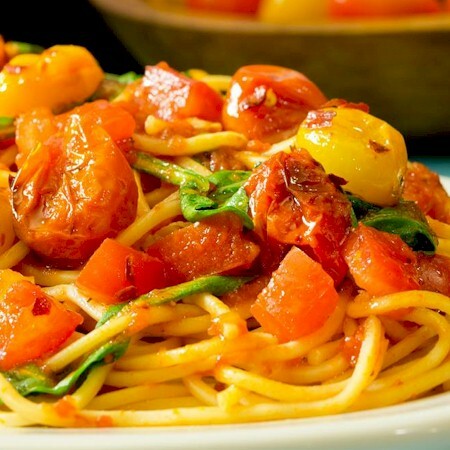 Two mild or spicy Italian sausage sautéed with green and red peppers and onions. Shareable size. Broccoli with garlic and a light touch of crushed red pepper and Parmesan cheese. Serves 3. Roasted garlic redskin mashed potatoes. Serves 3. Six layers of rich lemon cake and mascarpone cheese filling served in a pool of raspberry-hazelnut sauce and topped with fresh whipped cream and mint sprig. Shareable size. 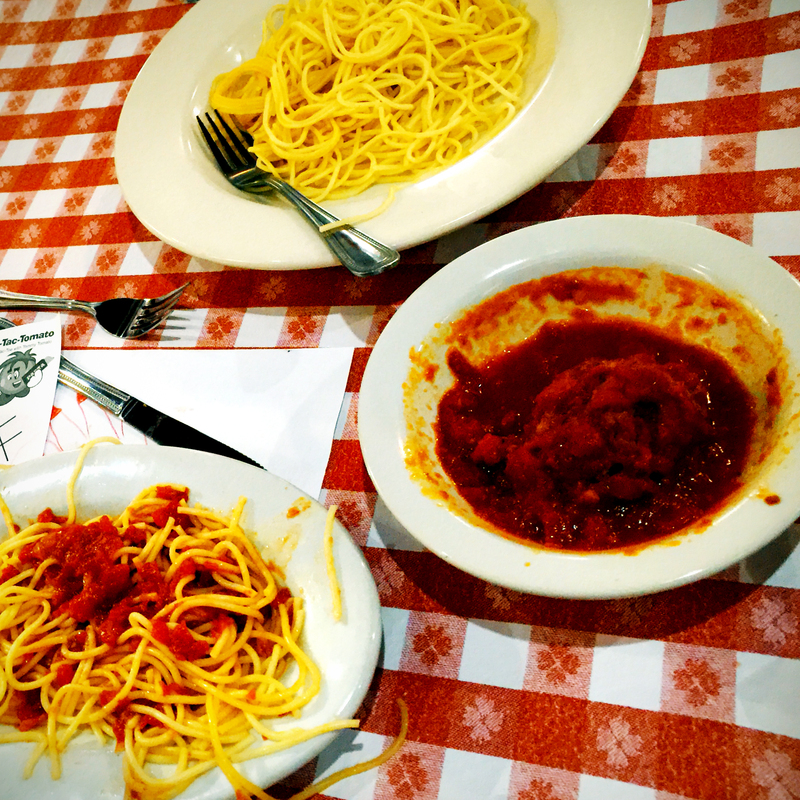 A Buca favorite with red sauce and a kid’s size meatball! Family Meal includes choice of salad and pasta. 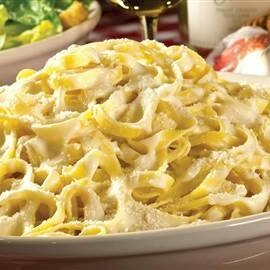 Family Meal Deluxe adds premium salad and pasta choices plus choice of entree. Both include fresh baked bread. Small serves 3, large serves 5. 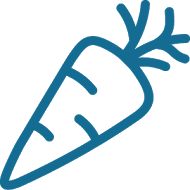 Choice of Salad: Mixed Green Salad with choice of Pasta: Baked Ziti, Baked Rigatoni, Penne alla Vodka or Spicy Chicken Rigatoni. Served with Fresh Baked House Bread. Serves 3. 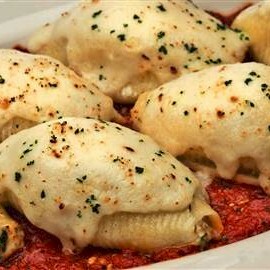 Choice of Salad: Mixed Green Salad with choice of Pasta: Baked Ziti, Baked Rigatoni, Penne alla Vodka or Spicy Chicken Rigatoni. 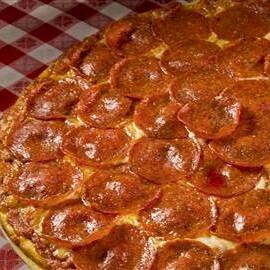 Served with Fresh Baked House Bread. Serves 5. 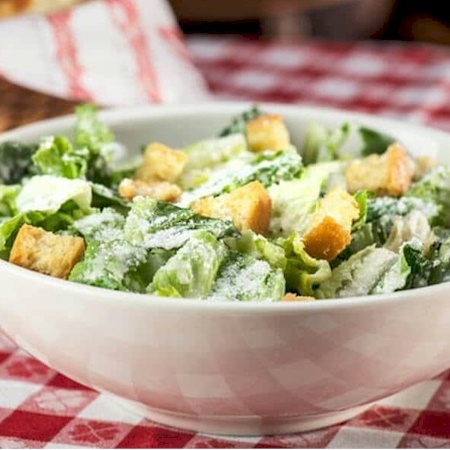 Choice of Salad: Apple Gorgonzola Salad or Chopped Antipasti Salad. 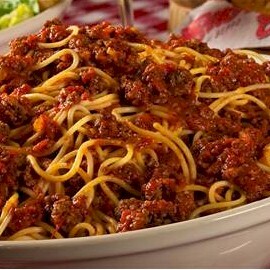 Choice of Pasta: Spaghetti with Meat Sauce, Baked Ziti, Baked Rigatoni, Penne alla Vodka or Spicy Chicken Rigatoni. 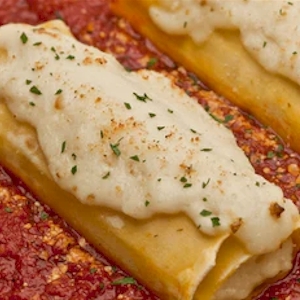 Choice of Entrée: Chicken Parmigiana or Chicken Limone. 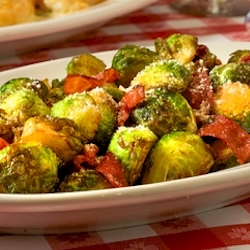 Served with Fresh Baked House Bread. Serves 3. 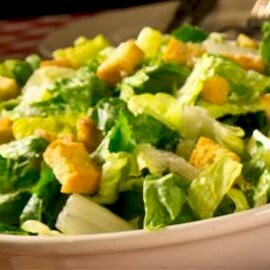 Choice of Salad: Apple Gorgonzola Salad or Chopped Antipasti Salad. 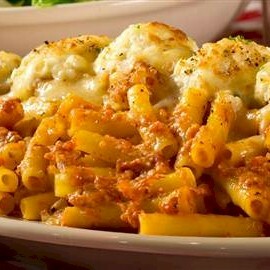 Choice of Pasta: Spaghetti with Meat Sauce, Baked Ziti, Baked Rigatoni, Penne alla Vodka or Spicy Chicken Rigatoni. 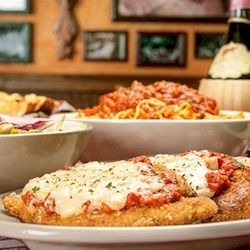 Choice of Entrée: Chicken Parmigiana or Chicken Limone. 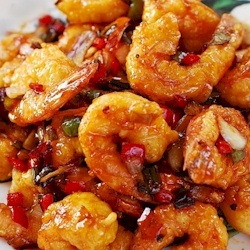 Served with Fresh Baked House Bread. Serves 5.